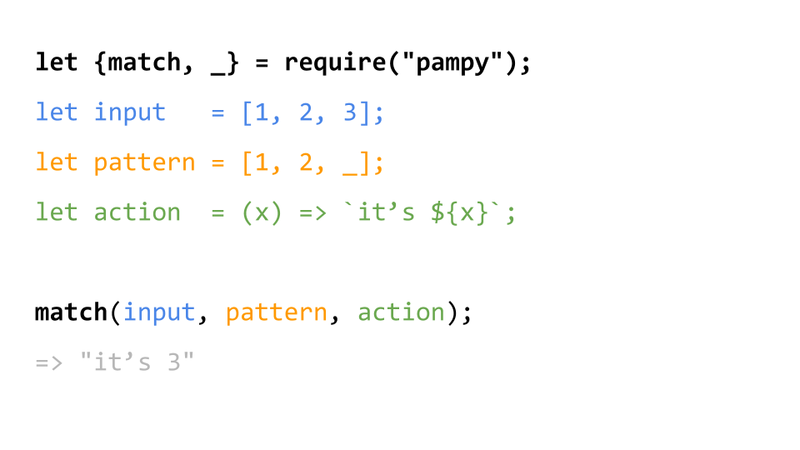 Pampy.js is pretty small (250 lines), reasonably fast, and often makes your code more readable, and easier to reason about. 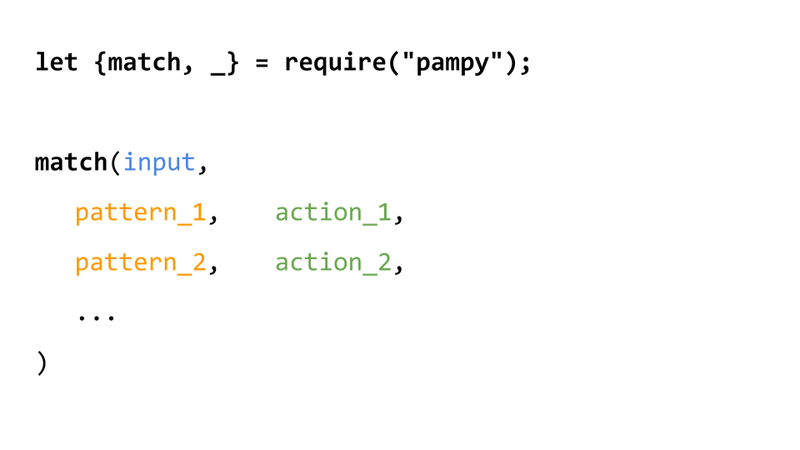 There is also a Python version of Pampy. Patterns are evaluated in the order they appear. The operator _ means "any other case I didn't think of". If you already use _, you can require ANY, which is exactly the same. You can match so many things! You can nest dicts. 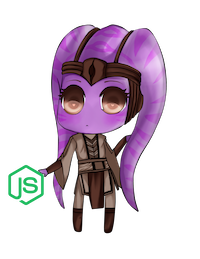 And you can use _ as key! Admittedly using _ as key is a bit of a trick, but it works for most situations. You can pass [pattern, action] array pairs to matchPairs for better Prettier formatting.